Photos from a "missing" flier the boy's mother shared online. 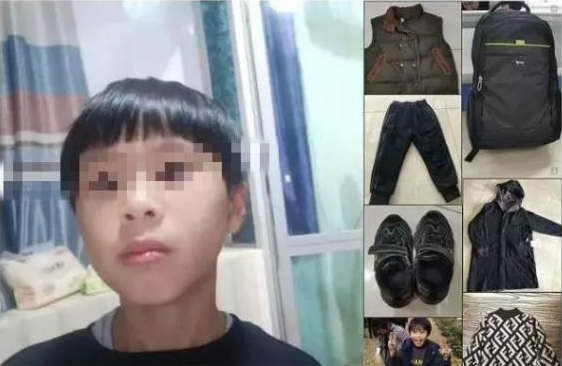 A woman who faked the disappearance of her 11-year-old son to “test her husband” has been arrested, police in Zhejiang said. On Friday, a 33-year-old woman reported to police in the city of Yueqing that her son was missing. The incident spread quickly online after the woman shared a detailed description of the boy on social media and asked people to help find him — even offering a reward of 500,000 yuan ($74,000). He was found today, police said. But there was a twist. He was not in fact missing, but had been hidden by his mother as a way to “test the devotion of her husband,” police said. The husband does business in another city and the couple have been having relationship problems, police added. The plan unfolded on Friday, as the boy finished school for the day. The mother met him and told him to hide inside what police called a “quadricycle” — likely a covered four-wheeler, or quad bike, that resembles a tiny car. She gave the boy food and told him not to leave the vehicle, and then reported to police that he was missing. Over the next few days, she drove the boy around in the vehicle, parking in different places. Search teams scoured the city looking for the boy. A reporter who met with the father during the search said the man’s hair was disheveled and that he said he hadn’t slept for four days. The mother has now been arrested and potentially faces multiple charges.